With the NCAA basketball tournament narrowed to the Final Four, our own version of March Madness is playing out in Annapolis. More than 3,000 bills hit the cross-over deadline of March 19. That is the date when bills from each legislative body (the House and Senate) must have been voted favorably out of committee and out of their respective legislative body to be crossed over to the other body for hearings and votes. That means the remaining bills are the only ones that can ultimately progress to become enacted by Sine Die on April 9. This year we’ve seen new records for bills introduced and the number of bills we had to monitor and testify on. 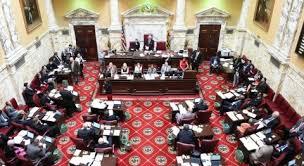 “Lawmakers introduced 3,118 pieces of legislation this year — 1,279 bills and resolutions in the Senate and 1,839 in the House of Delegates,” Danielle Gaines wrote for The Frederick News-Post. “That’s more in one year than in any other session dating back to 1987.” MACPA volunteers testified in person or in writing — sometimes repeatedly — to no fewer than 24 of of those bills. No sales taxes on services introduced. No non-disclosure agreement / non-compete legislation introduced. Wage history for employment: HB 512/SB 377, “Labor and Employment Wage History Information.” The MACPA testified against this bill. It has passed the House. Combined reporting, SB195/HB566: We oppose due to compliance complexity. Small business relief tax credit (SB 135/HB 99) for small businesses implementing mandatory sick leave.